One More Child brings hope to the whole family. Explore our services to see all the ways we help. At 4 years old, Mariah had been through more distress than many people experience in an entire lifetime. She had grown up with parents who struggled with substance abuse and had been incarcerated. She had been a victim of verbal abuse. She had been kicked out of daycare and school three times. When Mariah arrived in the home of One More Child foster parents Justin and Kari Preston on December 8, 2017 she needed a lot of one-on-one attention and unconditional love – something the newly licensed foster parents were able to give her. “She was in such an unsettled environment when she was 3 years old, that even at age 4 or 5 she was still acting like she was 3,” Kari said. There were the normal anger issues that would bubble to the surface as Mariah processed change, but Justin and Kari knew that God had orchestrated their call to foster care and that He would ensure the fruits of their labor. 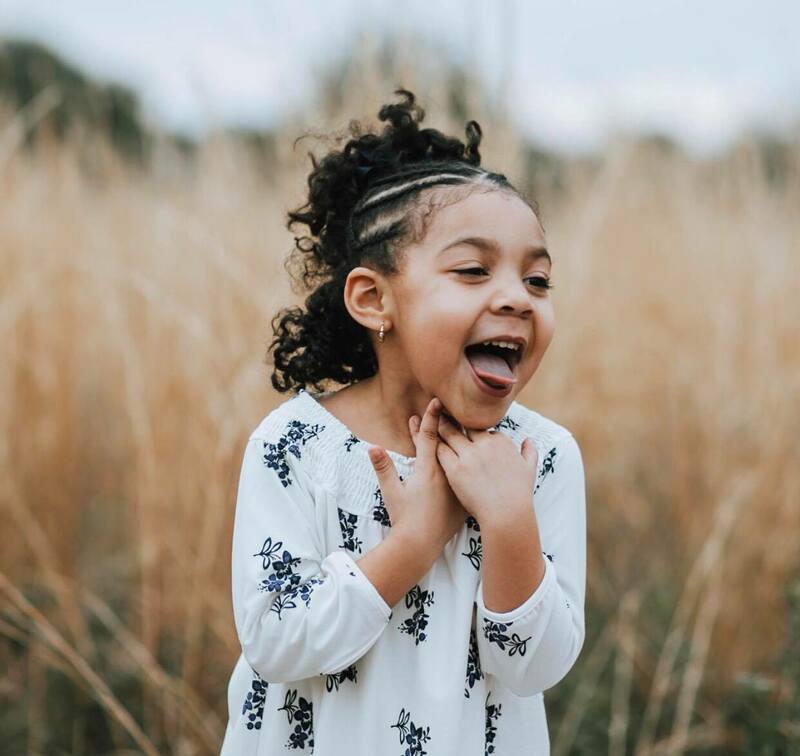 Within two weeks of being placed in the Preston’s care, Mariah’s behavioral therapist said she didn’t need to see her anymore because of an incredible turnaround. Mariah arrived at the Preston’s behind in school, but today, she is making straight A’s and some of the adjectives Kari uses to describe her include: fun, high-energy, “super loving” and joyful. When the family experienced Kari’s dad passing away last year, Mariah provided all of them with a sort of therapy that transcended reason. A few months later – actually one day short of a year after Mariah came into the Preston’s care – the Preston family adopted Mariah. Now, not only is Mariah a daughter that constantly reminds her parents of God’s grace, but she is a wonderful sister to another foster child living in her home. “A year ago, she could barely interact with other children…and now she just loves being a big sister,” Kari said.